Hello North West Tasmania. 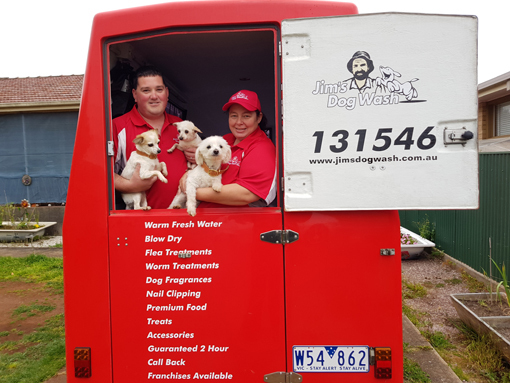 Our names are Jodi and Caleb Williams and we are the franchisees of Jim’s Dog Wash in Devonport. We are both raised on the North West Coast and have currently lived in Devonport since 2011. We are both big animal lovers and have three of our own fur babies, 1 Maltese Shitzu (Casper), 1 Chihuahua (Rosie) and 1 large cat (Angel). We are professional, trustworthy and reliable. We cover the North West Coast of Tasmania and offer qualified full grooming service including washing, nails and clipping. If you want your puppies pampered please give us a call.